Captain John Alexander HARPER, MC. Royal Army Medical Corps, attached 7th Battalion the Yorkshire Regiment. Son of Alex. R. Harper and Agnes Harper, of 8, Oughton Terrace, Ibrox, Glasgow. Killed 14 February 1917. Aged 28. 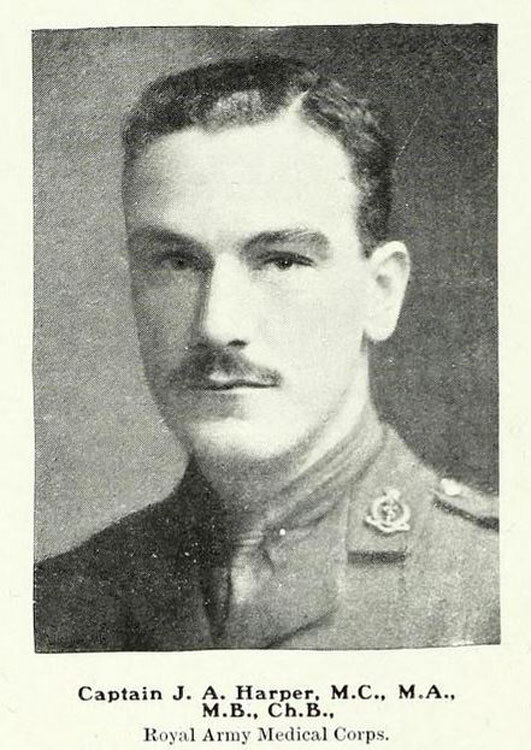 A biography of Captain Harper, including a description of his death in action, is presented on the web page for the University of Glasgow Story, as well as in the Hillhead High School, Glasgow, Roll of Honour.